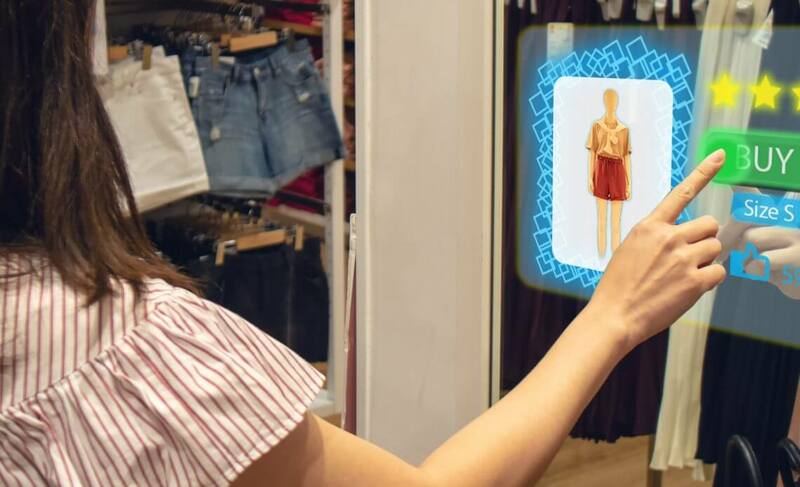 Trying On Clothes Just Became Easier: An AR Shopping Experience Like No Other! Augmented Reality has been in the loop for as early as 2005. It is when the idea of virtual try rooms started circulating. However, now it has become a reality. With technological advancements at an all-time high, every brand is trying to make use of it. With online shopping a major part of customer-brand relationship, the brands are looking to make the experience more entertaining and useful for the consumers. Steps in: AR technology. A lot of brands have come up with apps that give the users a virtual experience of a try room. The customers can try out as many clothes as they like in the variety that the brand offers, and even have the option of putting it back on the shelf, making a real-time experience for the customer. Gap, one of the most popular clothing store came out with the Dressing Room app in 2017. It allows customers to enter their body dimensions after which the app digitally generates the try-ons on a mannequin. The developers are also working on the ‘scanning the body’ idea for more accurate body measurements. The customer can also walk around the mannequin to see how the outfit looks from all angles. The brand focuses on the stretch and feel of the fabric instead of focusing on the model-like image of the mannequin that would definitely put off the customer. Our very own Pakistani brand, Sapphire also launched a similar app which allowed customers to view a 3D design of unstitched fabric before spending money on it. While it is not a try room app, it very similarly provides an experience unlike any brand in Pakistan. The Sapphire AR app has placed a high bar for other brands in Pakistan to catch up on the competition. It is all about incorporating technology to business nowadays. The more the brand fits in well, the more success they achieve. The apps are now focusing on more features to provide a better experience to the customers.